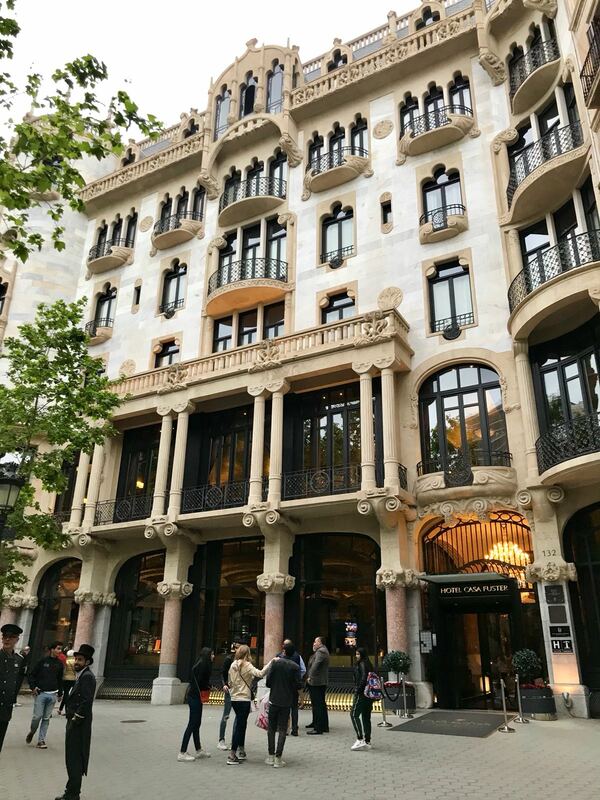 Constructed in 1908 by the architectural marvel Lluís Domenech i Montaner, this private mansion turned hotel was once the most extravagant spot on the exclusive Passeig de Gràcia. This sublime, modernist building now boasts one of the Catalan capital’s top restaurants for an evening of fine dining, Galaxó, situated on the first floor of Hotel Casa Fuster. Serving seasonal Mediterranean cuisine, its exquisite range of dishes are inspired by local flavours and ingredients, to provide an unparalleled Spanish dining experience. Unsurprisingly given the sheer beauty of the art nouveau building, Galaxó’s plush dining room is reason alone to visit this luxurious eatery. From its striking olive and violet interior, spectacular French doors, stone archways to create semi-private rooms and splendid views, it truly is magnificent. 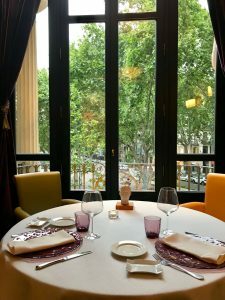 Whether you are seeking somewhere for a romantic dinner with a loved one or a family celebration, Galaxó’s privileged location overlooking the majestic Passeig de Gràcia will not disappoint. Barcelona at twilight is certainly not a view to be missed, and fortunately with Galaxó’s prime positioning you can watch the sun set over the charming Eixample district from your table. Priding themselves on being more than just a restaurant but rather a culinary experience, Galaxó aims to awaken your senses with its fusion of impeccable presentation and polished service with a timeless menu. With the tasting menu focusing on haute and cutting-edge cuisine, expect a delightful range of seafood, meat and vegetarian courses. It presents the opportunity to sample their signature dishes and foremost menu picks, all of which are paired with vermouth, cava, red, white or a dessert wine. Following a delicious mushroom appetiser, the tasting menu kicks of with a selection of traditional Catalan concoctions with a contemporary twist. From their very own patatas bravas, resembling a spicy potato tortilla, and a revamped bikini sandwich to black squid ink and rabbit croquettes, you will be given the opportunity to sample regional favourites in bitesize form. In true Mediterranean fashion, the meal continues with delicately marinated prawns drizzled with a semi-spicy coconut soup, and melt-in-the-mouth cod topped with a tangy parmesan crisp, and smooth potato mash. 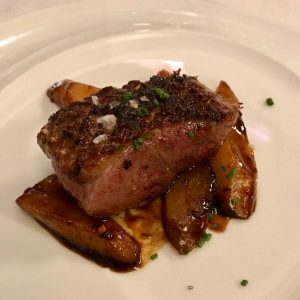 As the meal progressively moves from a crisp white wine to a vintage red, tender and perfectly seasoned duck is served on a bed of root vegetables. Galaxó ensures to end the meal in true decadence with a white chocolate crème, zesty mango sorbet and a rich cherry coulis, followed by homemade truffles. As if the menu wasn’t enough to trump all prior gastronomic experiences, the service at Galaxó is of superior quality, with attentive and welcoming staff. Not to mention its proximity to some of Barcelona’s top attractions and upscale shops, Galaxó is your one-stop shop for show-stopping views, elegant dishes and superb flavours – ¡Buen provecho!